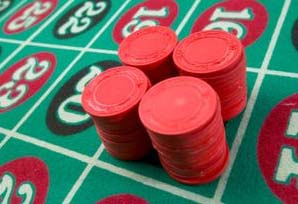 Not only is South Africa the world's third largest casino market, but was also the fastest growing casino market in 2010 with a 3.5% increase, a new report by PwC reveals. In its Global Gaming Outlook to 2015 released on Monday, PwC says that in terms of casino gaming, France had the largest casino market in 2010 at $3.8 billion, followed by Germany and South Africa at $2.0 and $1.8 billion, respectively. But France has declined during the past two years, and a further drop is expected in 2011 with modest increases projected thereafter as the economy improves, according to PwC. "Germany has one of the strongest economies in EMEA, and its market continued to expand during the past three years, albeit at annual rates of less than 1 percent. We look for somewhat faster increases during the latter part of the forecast period as economic conditions strengthen and as private companies enter the market as privatization occurs, by taking on existing licences," the report says.